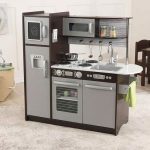 CKS Children’s Kitchen Shop is one of the most popular reviews website when it comes to play kitchen sets. We do our best to publish the most accurate reviews about these toys. We constantly publish our findings on this website so that parents, all over the world, can make good choices when it comes to buying this highly interactive category of toys for their children. We would appreciate your honest feedback. This not only help us to improve our services but help other parents using this website.